Royalties paid through Black Ltd Radio. 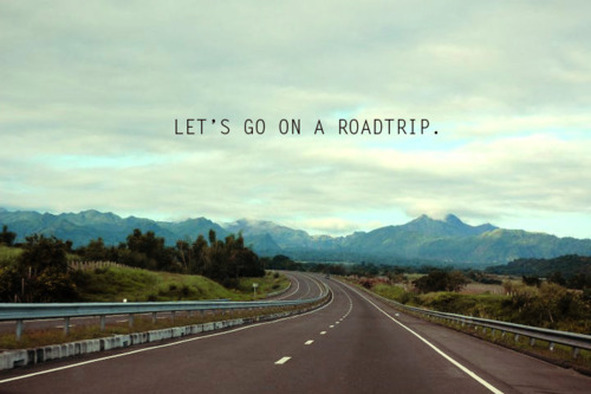 ​The music you love| The Music you Remember | Where the Independent artist calls home. The streams and or Music on Black Ltd Radio. is and will be of our own copyrighted material, and publishing. Push Firm Publishing. All Rights are Reserved to Stream Music/ Submitted By Artist by way of Email. and is made available to the public under a specific license, Push Firm Publishing . S.E.S.A.C 2016. 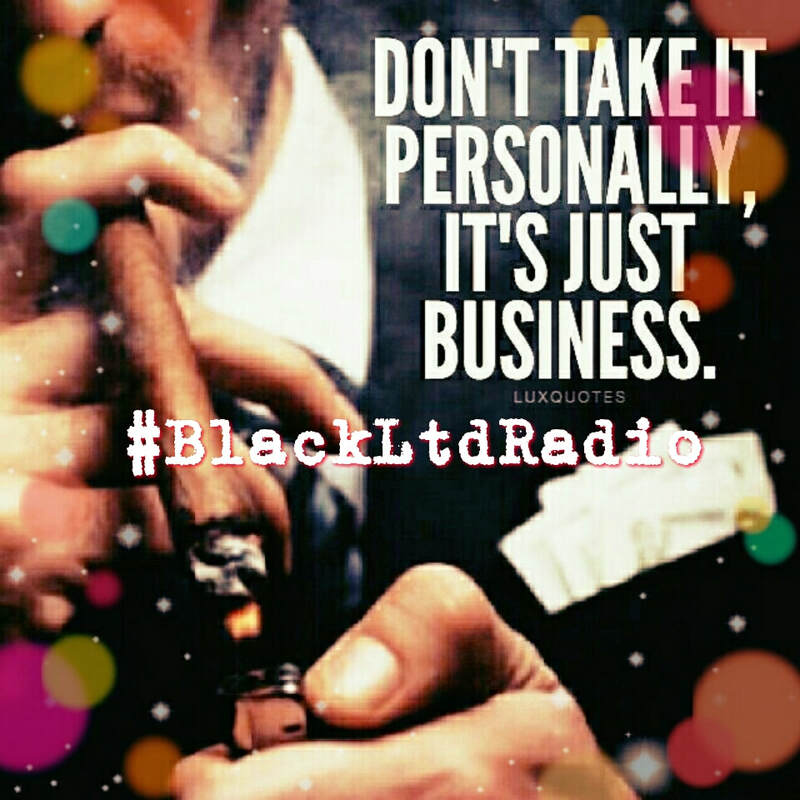 All music is and will be apart of Black Ltd. Radio Albums /Cd's Black Ltd Radio- Various Artist Volumes. Now playing ..."Specialty Shows / Podcast"
Tune in to 6:00 AM to 9:00 AM (3 AM to 6 AM EST) Miss Millie Magic plays old school R&B. DJ Avalanche is our "Record Breaker" DJ. Show starts at 3:00 PM to 6:00 PM EST (12 PM to 3 PM PST). DJ Clark Streams music that has been cleared for regular rotation. DJ ExXtreem with uncut raw Hip Hop from 6:00 PM to 9:00 PM EST (3 PM to 6 PM PST). 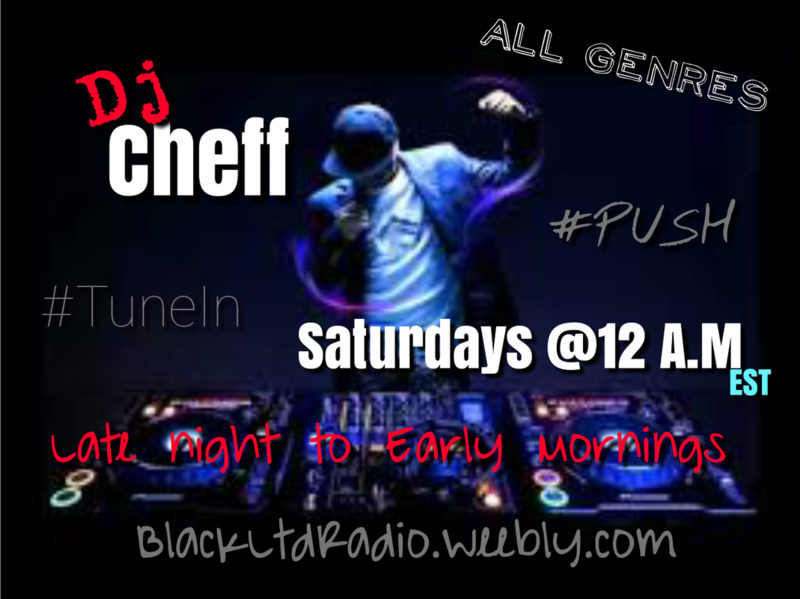 Dj Cheff is the resident DJ and plays all music from all genres Saturday from 12:00 AM to 6:00 AM EST (9 PM to 3 AM PST). Enjoy relaxing, inspiring, motivational instrumental music from Zen Guru "Writing Session" 3:00 AM to 6:00 AM EST (12 AM to 3 AM PST). ​DJ Empress Lee showcasing signed and unsigned talent from all over the world. 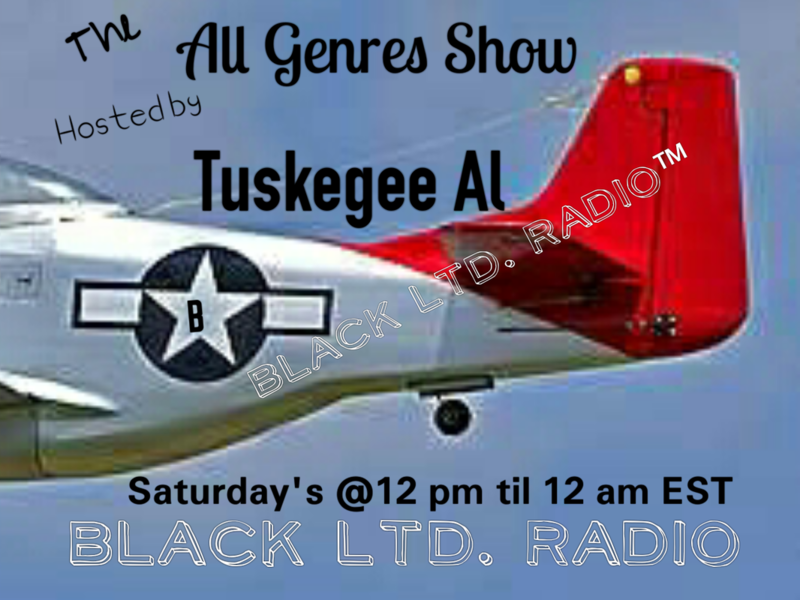 Streaming Hip Hop and R&B at 12:00 PM to 3:00 PM EST (9 AM to 12 PM PST) enjoy DJ B. Smooth. If you have a following and/or fan base and are looking for a platform to expand your audience and would like to become a host with your own show up to 2 hour session contact us. 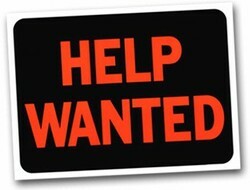 No Experience needed Start a new with career with Black Ltd Radio today. Sign Up to Perform on Black Ltd Radio LIVE! Our news and public affairs programming emphasize controversial, neglected, and non-mainstream points of view on important local as well as national or world issues, illuminating our values particularly regarding peace, human rights, and environmentalism. Black Ltd. programming includes a wide range of music, women's issues, Native American, Spanish language, comedy, local, national and international public affairs, call-in discussion and more. Black Ltd. fills needs that other media do not, providing programming to diverse communities and non served or undeserved groups. Black Ltd shall be a model of programming, filling needs that other media do not, providing programming to un-served or under-served groups. Black Ltd shall provide access and training to those communities. Black Ltd. news and public affairs programming shall place an emphasis on providing a forum for unpopular, controversial, or neglected perspectives on important local, national, and international issues, reflecting Black Ltd. Radio's values of peace, justice, democracy, human rights, multiculturalism, environmentalism, freedom of expression, and social change. Black Ltd’s arts, cultural, and musical programming shall cover a wide spectrum of expression from traditional to experimental, and reflect the diverse cultures we serve. Black Ltd. Radio again shall strive for spontaneity and programming excellence, both in content and technique. orientation towards the audience with concern for those under- represented by other media. Black Ltd. is committed to radio programming with a human perspective -- respecting all peoples. Thin Air's arts, cultural, and music programming covers a wide spectrum of expression from traditional to experimental and reflects the diverse cultures. Black Ltd serves and strives for spontaneity and program excellence, both in content and technique. ​As part of our mission to educate, every Black Ltd DJ is encouraged to play a variety of musical styles and genres. Rather than segregating music into limited boxes, this philosophy is an an attempt to entertain the listener while broadening their musical experience. A pretty fun way to be educated, don't ya think! ​Our music data and royalty and performance fees are reported and paid through StreamLicensing, LLC. We provide the training and tools, and you take it from there. As an all-volunteer station, we can’t provide a board operator, tech person, producer, or anybody to screen the phone for your call-in show. 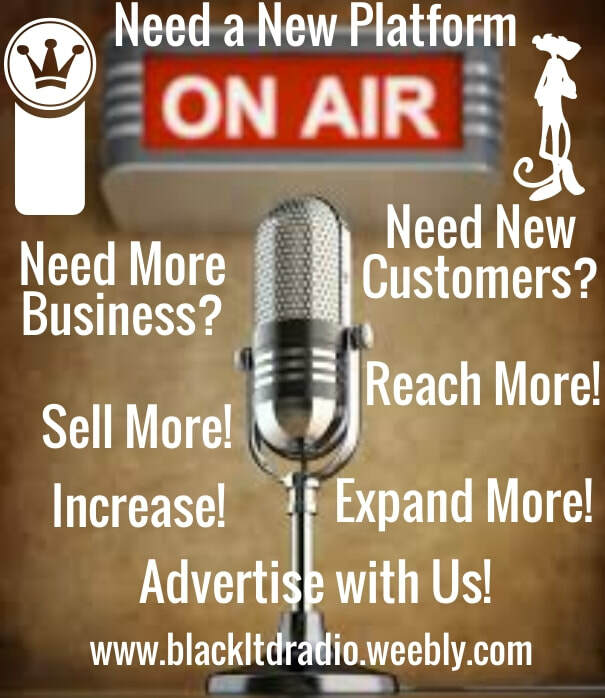 All submitted artist will have promotion provided by affiliates of Black Ltd. Radio for the up to four (4) weeks. 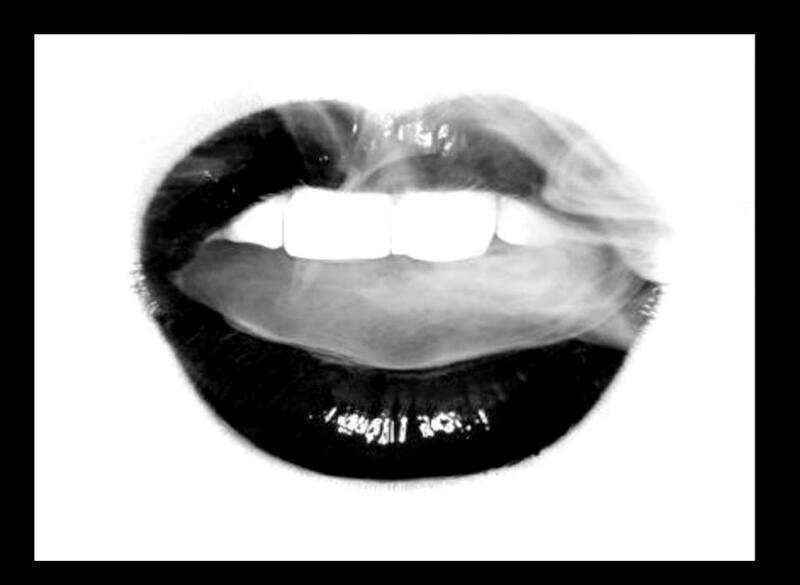 All Black Ltd. ask is for you to do your part in using your platforms to push and promote Black Ltd. Radio.